Each night we are asked in our DENSI team meetings what we can do to promote community service. I have decided to go ahead with my incomplete and incoherent thoughts of doing monthly EdCamps. I want to have a monthly unconference that has a focused portion and an unfocused portion. 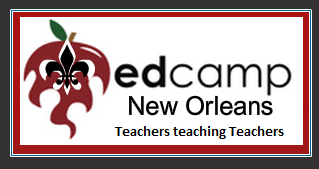 Our second EdCamp Louisiana was more successful than the first BUT there are somethings that need to be improved upon. I want to add more structure and focus to our unconference because I know that there are somethings that need to discussed continually, social media, organizational / productivity tools, classroom management, student data tracking and the creating of student products using or not using tech tools. Each time I talk to teachers about what they want to see and do in their classes these topics arise and therefore must be addressed on a regular basis. For these topics we need more than a facilitator to talk, we need a facilitator who will talk to them about the whys, why nots and the hows of the topic. This facilitator would put some sort of plan into their hands so that they can begin working on their new skill/resource Monday morning. Many of the attendees of our EdCamp Louisiana have expressed that they need this final piece to our discussion sessions. I have started talking with other teachers to get them to commit to Teaching Teachers Tech one Saturday a month for a year. I want us to travel to different schools for our training sessions and talk to as many teachers as possible. Why do I feel the need to share everything with everyone? Because so many teachers do not. They want to keep things a secret. I want the world to see the good and bad that I do. If it is good and you like it, do it in your classroom with your students. If it is bad and you do not like it, do it better in your classroom with your students. 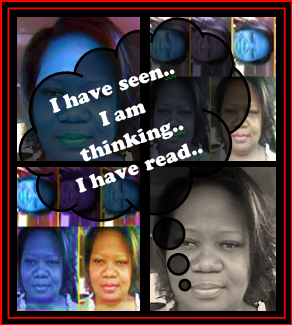 Posted on July 24, 2012 by Ms. B.. This entry was posted in My Class, My Head, My Heart, My World. Bookmark the permalink. « I have been chosen to present at T.C.E.A.